Toyota Innova enjoys a unique position in the market. The luxury MPV has been leading the segment since the time has been launched. Now Mahindra is working on a new car codenamed U321 that will compete directly against the Innova. The new car is being developed at Mahindra’s new Technical centre in Troy, USA. 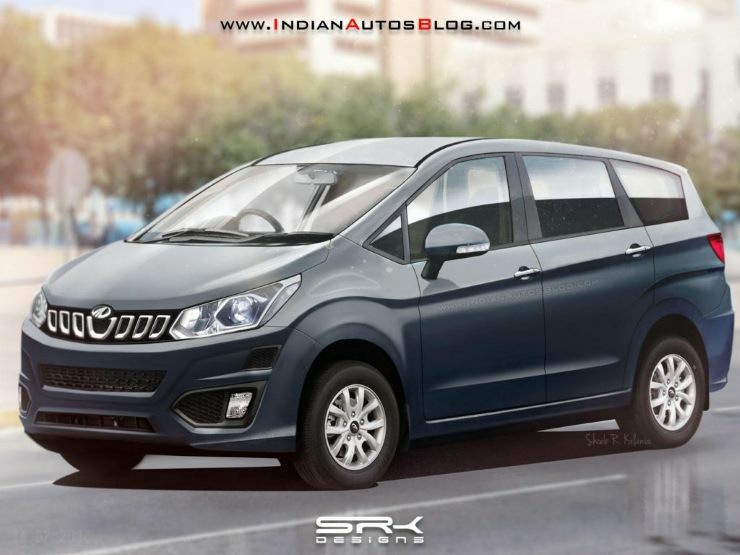 The product will be placed above current Mahindra MPV – Xylo. The car will have an option of either 7-seat or 8-seats. Mahindra will also put premium equipment in the car to make it luxurious and drive away the buyers from Toyota Innova that has been attracting both commercial buyers and private buyers equally. 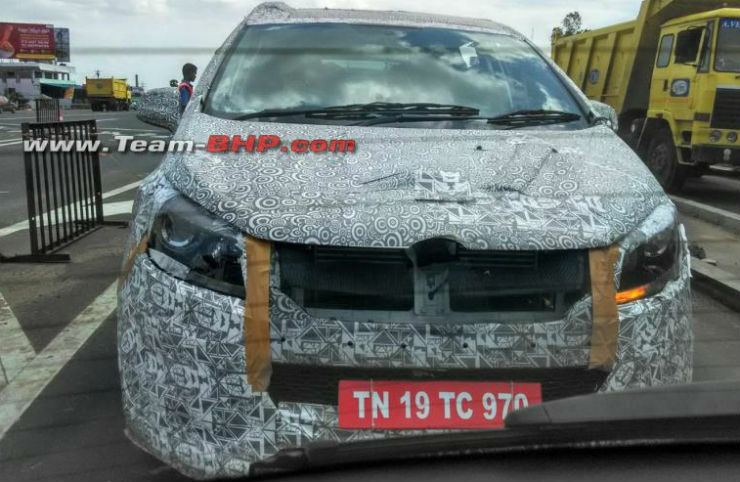 The MPV has been caught testing with projector headlamps. Mahindra also announced some time back that the company is working on two all-new platforms. There is a huge possibility that the new MPV will introduce one of the new platforms to the market. What will power the new car? Now that the ban has been lifted on the vehicles that are powered by 2,000cc or bigger diesel engines in the Delhi and NCR, the new car may be powered by the tried and tested 2.2-litre mHawk diesel engine. The car may also carry the mild hybrid system that has been recently introduced to the Mahindra Scorpio. That being said, Mahindra is also working on 1.5-litre petrol engine for the XUV 500. Now that even Toyota Innova is powered by a petrol engine, Mahindra may just plonk the petrol engine in the new MPV alongside diesel engine. 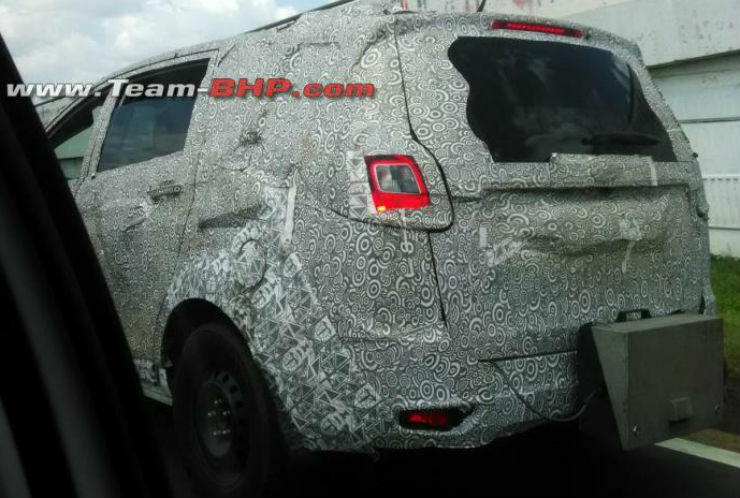 Mahindra has been testing the new MPV quite frequently and with each sighting, the car looks closer to the production version. Even though the car is heavily camouflaged, it has been caught testing with new projector headlamps, new large ORVMs, a huge front bumper with dual central air dams, and a very muscular bonnet. The car may get production ready by early next year, if not earlier. Keep following us as we bring in more details about the car as we get them.